Angela Gheorghiu, in one of her signature roles, is the enticing Violetta, the most beautiful courtesan in Paris. With the entire city at her feet she would seem to have everything—except true love, from which she has always run away. 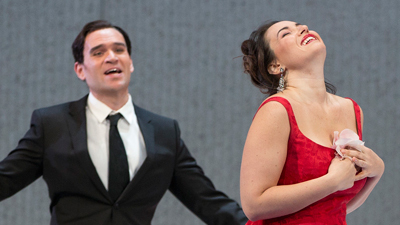 When she meets the young, handsome Alfredo (rising tenor James Valenti), she gives up her former life. 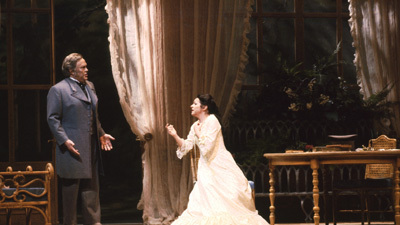 But their bliss is shattered when Alfredo’s father (Thomas Hampson) forces Violetta to renounce her lover. Conductor Yves Abel leads one of Verdi’s most intimate and heart-felt scores.